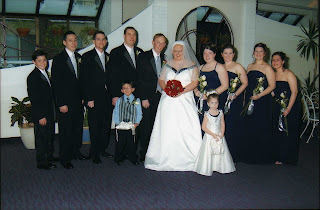 It’s hard to believe eight years have already gone by since our amazing wedding day. I can still remember the stress of planning and then the excitement as the day drew near. I still remember the butterflies I had getting dressed in my gorgeous wedding dress, knowing that in just one short hour I’d be walking down the aisle. I still remember the huge smile I couldn’t hide as I walked with Dad and Uncle Daryl to join you at the front of the room with Reverend Anne. Even though we had been together for 5 years, I still remember how thrilled I was to be told we were now “husband and wife”. Huib, you complete me. Before you, I was happy and content with my life, but with you I’m whole. I was fine on my own, but with you, I’m perfect. thank you for 8 wonderful years as your wife, and thank you for 13 unforgettable years as your friend and lover.